The standout is the Hoyo de Monterrey Double Corona, which earned a near-perfect 99 points in our Winter 1992 issue. The top of the list also contains three 97-point giants: Cohiba Behike BHK 52, My Father Le Bijou 1922 Torpedo Box Pressed and Padrón Serie 1926 No. 9. 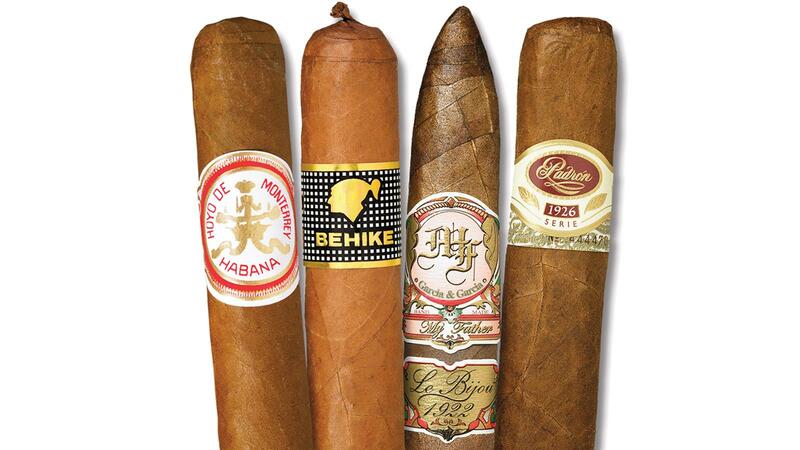 The remainder of the list features a variety of exceptionally complex and flavorful cigars, all of them gems, including fan favorites such as Cohiba, Fuente Fuente OpusX and Padrón Family Reserve. In the 25 years of this magazine’s publication, only 12 cigars have scored 96 points; only 25 have earned 95 points.